This event took place on December 10th to 11th at the Pride Pavillion in Phoenix. There were 14 pro freestylers at the event. 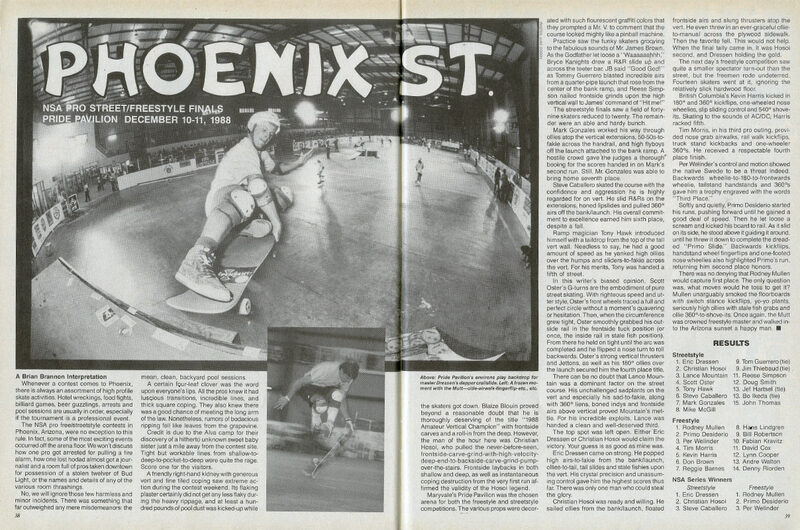 The NSA series winners for the year were crowned at this event, with Rodney Mullen taking the top spot, followed by Primo Desiderio and Per Welinder.